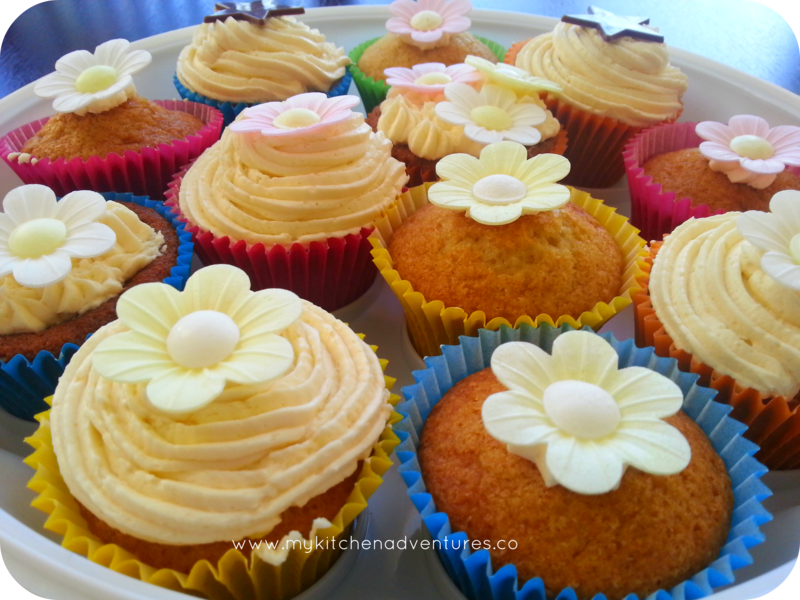 These cupcakes are vegan and eggless and great for birthday cupcakes to ice and then add your favourite sprinkles and decorations! I would like to think that the method is easy enough for a beginner and I really love the fact that there’s not sifting or complicated measurements involved. You can also make this gluten free by replacing the plain flour with gluten free flour and adding a 1/2 teaspoon of Xanthum Gum. You may need to vary the baking time. Makes 10 – 12 cupcakes. Set your oven to 180 C (oven temperatures may vary). Mine is a fan assisted oven. Put cupcake cases in your cupcake tin. Put the dry ingredients 1 – 4 together in a separate bowl and mix well using a whisk. Add wet ingredients to the dry and work swiftly to mix all ingredients using a wooden spoon. Do not over beat! Just ensure the ingredients are combined well. Put equal quantities of the mixture in the cupcake cases. I find it easy to use an ice cream scoop. 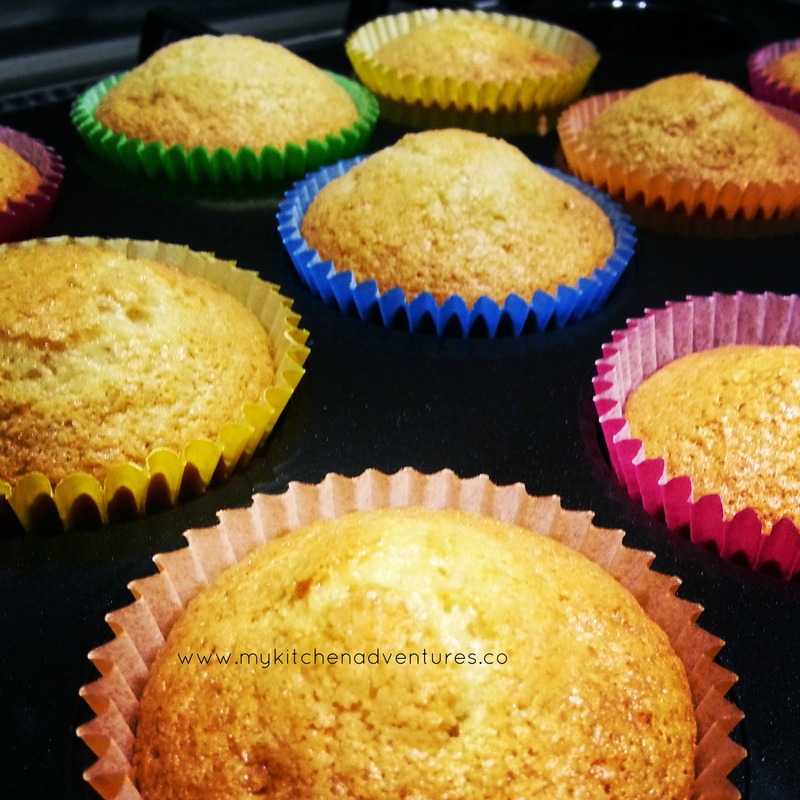 Bake for about 20mins or until the cupcakes are cooked through by checking with a toothpick. If the toothpick shows that the mixture is still a little wet then you need to put the cakes back in for a few more minutes. Cool the cupcakes completely before you apply the icing. Whisk the shortening/butter for about 2 minutes in a bowl. Then add the icing sugar and vanilla extract and whisk again for another 2 minutes. Add the milk 1 tablespoon at a time until you reach a smooth, spreading consistency (you may not need all of it).